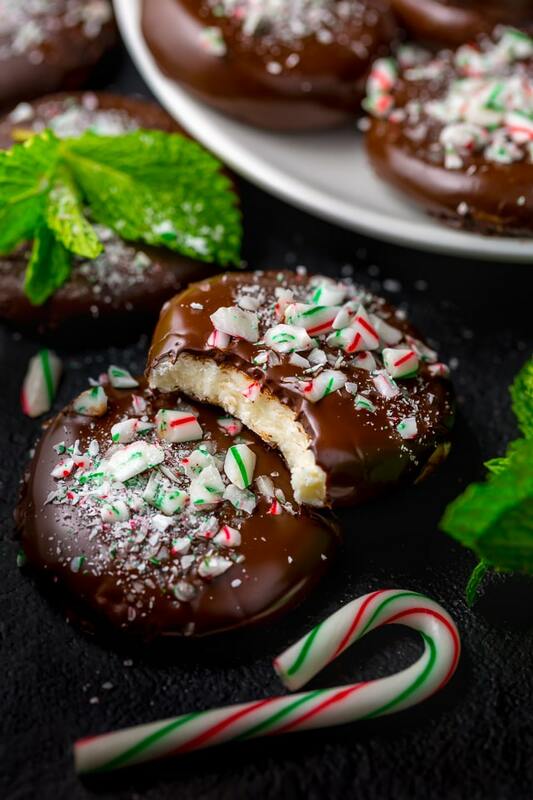 Homemade 5-Ingredient Peppermint Patties are so easy and delicious! I know that Christmas is only 10 days away, but please tell me you have room left for a few more festive recipes? 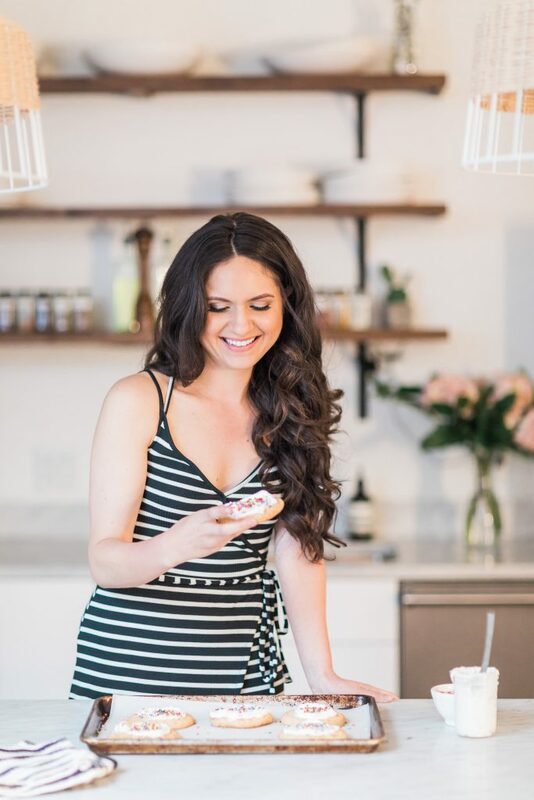 Because I have some really good things coming for you this week! Like the creamiest hot cocoa, snow cap cookies, and a chocolate cake that coffee lover’s will go crazy over. But first things first! 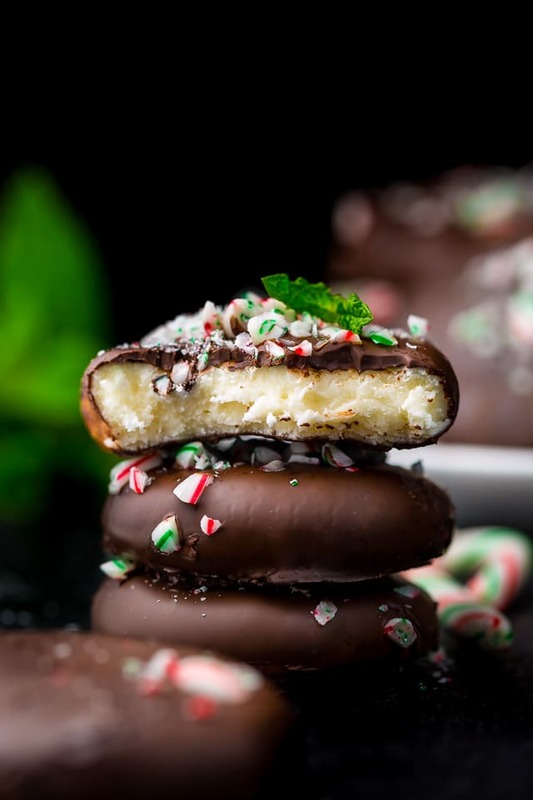 Let’s talk about today’s recipe for 5-Ingredient Peppermint Patties! Because this recipe only calls for 5 ingredients, I suggest using the best ones you can get your hands on. And while we’re on the topic of sweetness, I want to encourage you of one thing: don’t skip the salt! Adding a small amount of salt to the filling brings out the flavors while balancing the sweetness. Trust me on this! Don’t skimp on the confectioners’ sugar. You’ll need at least 5 cups, and may need up to 6. You want the filling to be very thick and not sticky. 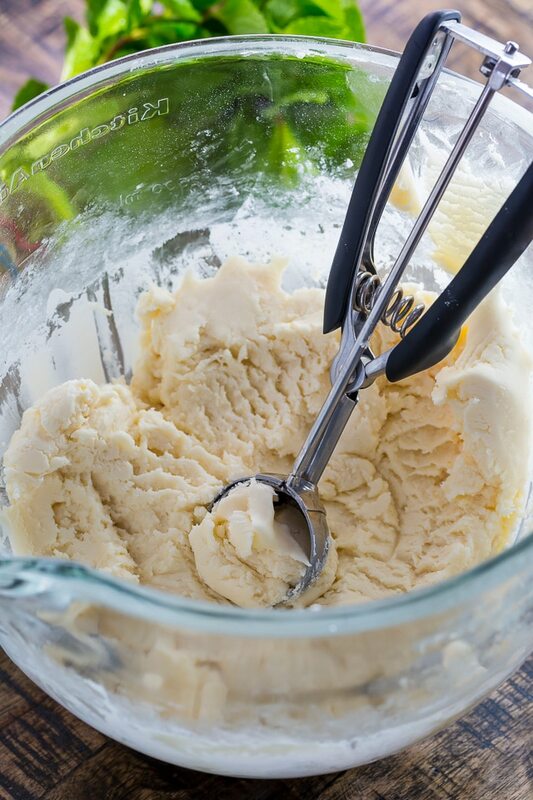 The easiest way to form the patties is to use a medium cookie scoop. 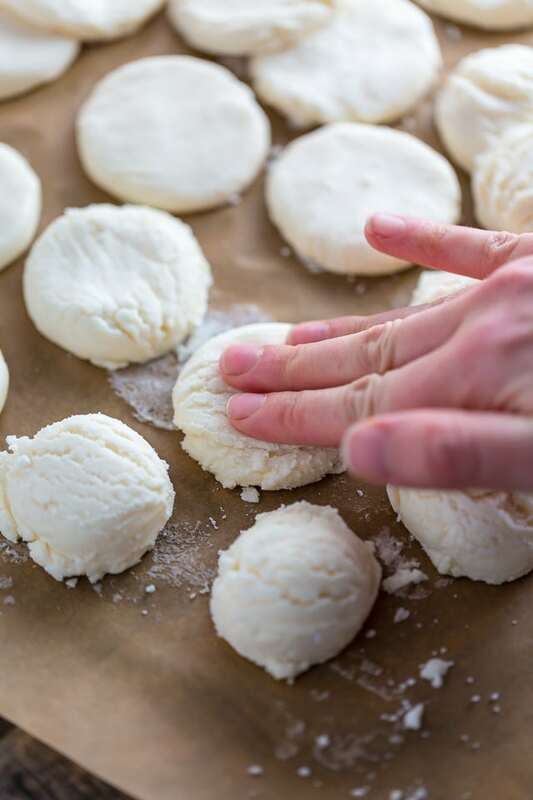 You’ll simply scoop out a level scoopful and roll it in your hands a few times to ensure its smooth; then place the ball on a piece of parchment paper and gently press it down into a small circle. Don’t make the circles too big, or they’ll fall apart when you dip them. The circles of filling must dry on each side for at least one hour before dipping them in the chocolate, so be sure to plan ahead time wise. If the filling won’t lift off the parchment paper easily, use a small spatula to loosen the circles, then try again. I do not have a suggestion for substituting the sweetened condensed milk. For an extra strong peppermint flavor, increase the called for amount by 1 teaspoon. If you try this recipe for 5-Ingredient Peppermint Patties, let me know! Leave a comment below and don’t forget to snap a pic and tag it #bakerbynature on instagram! Seeing your kitchen creations makes my day. Line a large baking sheet with parchment paper and set it aside until needed. In the bowl of a stand mixer fitted with the paddle attachment, or in a very large bowl using a handheld electric mixer, beat together the sweetened condensed milk and peppermint extract until well combined. With the mixer on low speed, gradually add in the confectioners' sugar, allowing what you've added to fully incorporate into the mixture before adding more. Beat in the salt. *If the filling is still sticky after adding the 5 cups of confectioners' sugar, add more, a 1/4 cup at a time, until the filling is very thick and can easily be handled. Using a medium cookie scoop, scoop out level scoopfuls of filling, kneading and rolling each one in your hands a few times before rolling it into a ball and transferring it to the prepared baking sheet. Repeat with all filling. Using your fingertips, or the palm of your hand, press each round of filling down into a 1-and-1/2" circle. Set aside and allow the patties to dry for at least 1 hour on each side. I suggest setting a timer so you know exactly how long they've been drying. *To easily flip the patties over without breaking them, slide a small spatula underneath each one and gently flip it over. Fill a medium pot one-third full with water and bring it to a low simmer over medium heat. Place a heatproof bowl that will fit on top of the pan snugly, but will not touch the simmering water, on top of the pan. Reduce the heat to low and place two-thirds of the chocolate into the bowl. Place a candy thermometer intp the chocolate and let it melt, stirring frequently with a silicon spatula. *Do not let the temperature of the chocolate exceed 120°F. Once the chocolate has fully melted, remove the bowl from heat, but keep the pot of simmering water on the burner. Wipe the bottom of the bowl to remove any condensation. Stir in the remaining chocolate, a little bit at a time, allowing what you've added to completely melt before adding more. Set aside and allow the chocolate to cool to 82°F. Once the chocolate has reached 82°F, place it back over the simmering water and reheat to a temperature between 88°F and 91°F. Remove the bowl from heat once you have reached the correct temperature. The chocolate should be smooth and glossy, with no streaks. 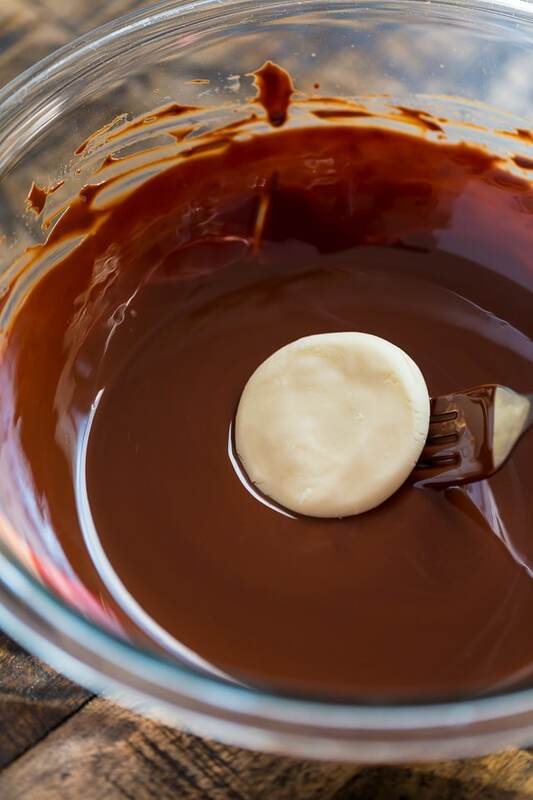 Using a fork or candy dipper, dip each patty in the chocolate, allowing excess chocolate to drip back into the bowl before transferring it back to the parchment paper line baked sheet. Sprinkle the top of each dipped patty with crushed canes, if using. Set aside and allow the chocolate to set before serving, about 1 hour. 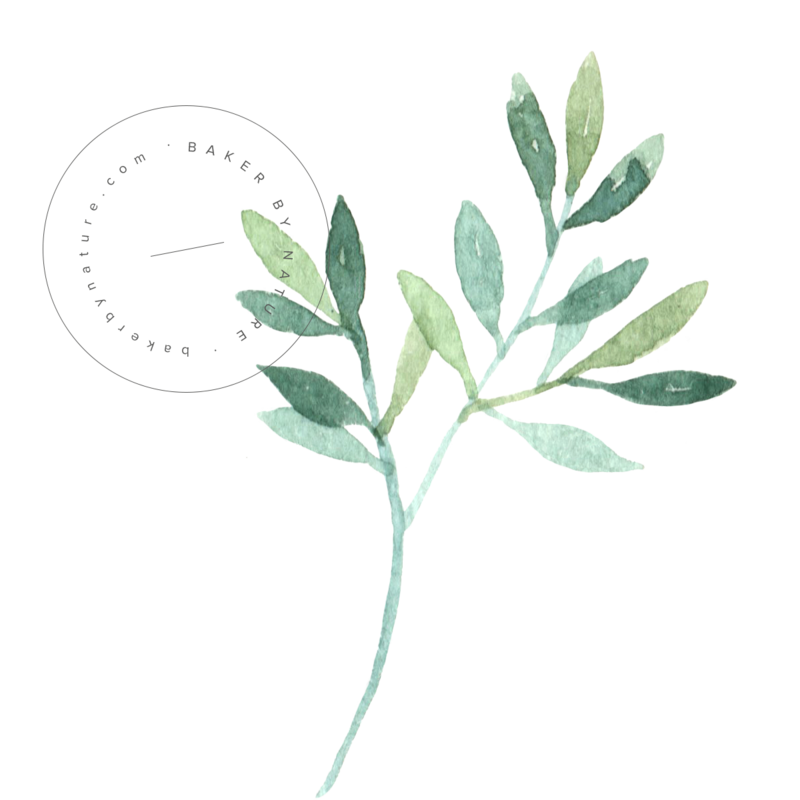 Store in an airtight container, at room temperature, for up to 1 week. me too! – or freeze the filling and then dip later? Hi Jessica. Yes! 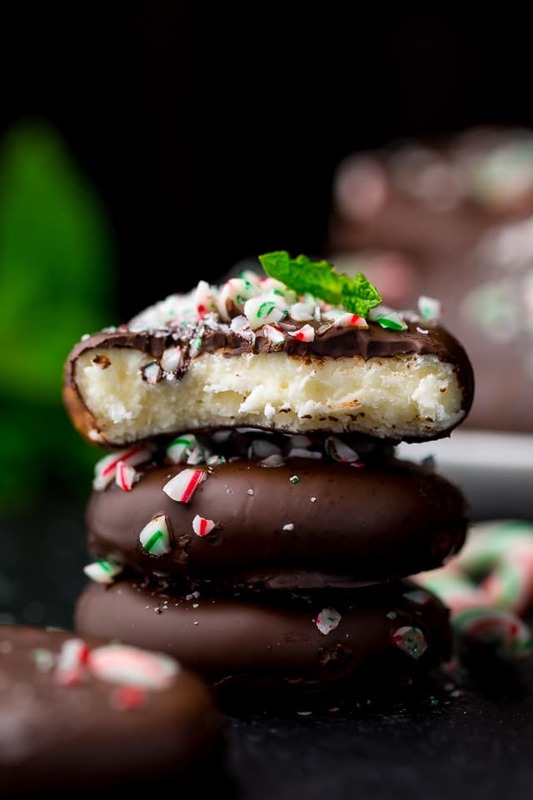 You can freeze these homemade peppermint patties! 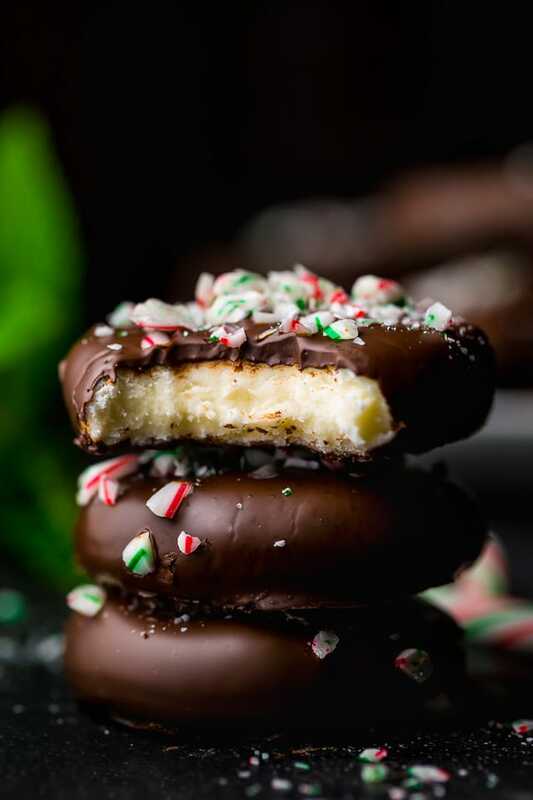 Allow the chocolate to fully set (so that they don’t stick) then store the peppermint patties in an airtight freezer-friendly container and freeze for up to two months! Eat frozen or thaw a bit before serving. I have made these with softened cream cheese in place of sweetened condensed milk and they taste amazing and are not overly sweet.